A gambler from Norway that tried to sue the online gaming company Centrebet for his gambling losses has lost his case in Australia’s Northern Territory Supreme Court. 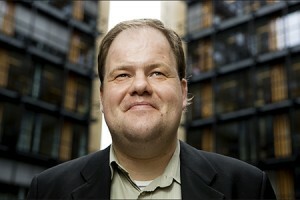 An Australian supreme court has ruled against Bjarte Baasland in his case against Centrebet. In 2009 Bjarte Baasland filed a claim for damages against Centrebet after losing more than $14.1 million using online websites such as Centrebet, a company acquired by Sportingbet Australia in 2011. Baasland was arguing that Centrebet was negligent as it allowed him to spend so much money. However, Justice Graham Hiley ruled against Baasland and ordered him to pay Centrebet’s court costs. The court case began four years ago in Norway. Baasland had lost money borrowed from family and friends; he told them that he had made poor investments in internet start-up companies. He claimed that he was a gambling addict and Centrebet should have prevented him placing large bets. In court Centrebet argued that its terms and conditions state that punters must agree to only gamble with their own money. As Baasland had borrowed money and lied about how he was spending it the company was not liable for his losses. Don Johnson Charity Blackjack Tournament Raises $5,000 for D.A.R.E.